Sherbro Foundation was happy to help former Shenge Peace Corps Volunteer, Ginny Fornillo send Ebola aid to Kargboro Chiefdom, Moyamba District. Ginny’s donation allowed Reverend Hubert Williams of Gomer Memorial Church, Shenge, buy hand washing stations to set up in chiefdom public places, as well as disinfectant and soap. Frequent hand washing with basic soap and water remains an effective first line of defense to prevent Ebola and other diseases like cholera and dysentery. 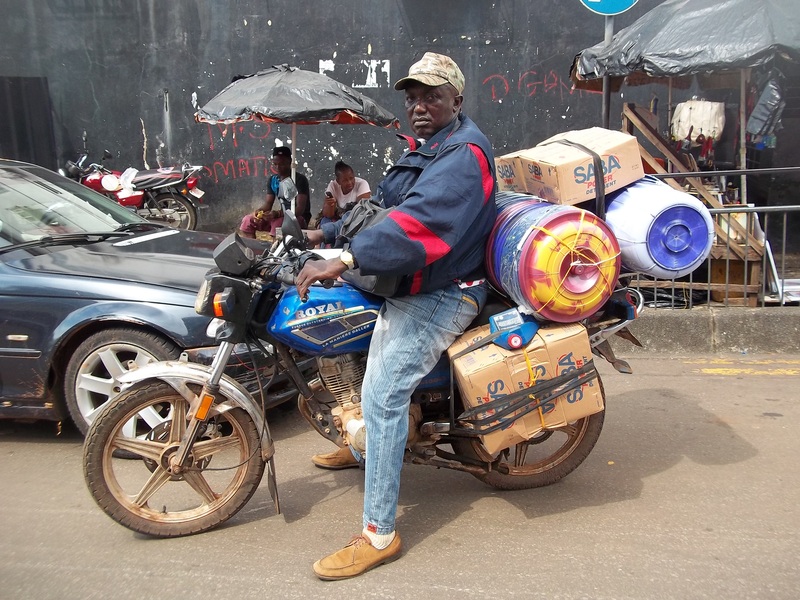 Reverend Williams loaded up his motorcycle in Freetown to carry supplies back to Shenge. Shenge is a coastal village at the end of one the worst dirt roads in Sierra Leone. Motorcycles are one of the only means of transportation to still get to Shenge. 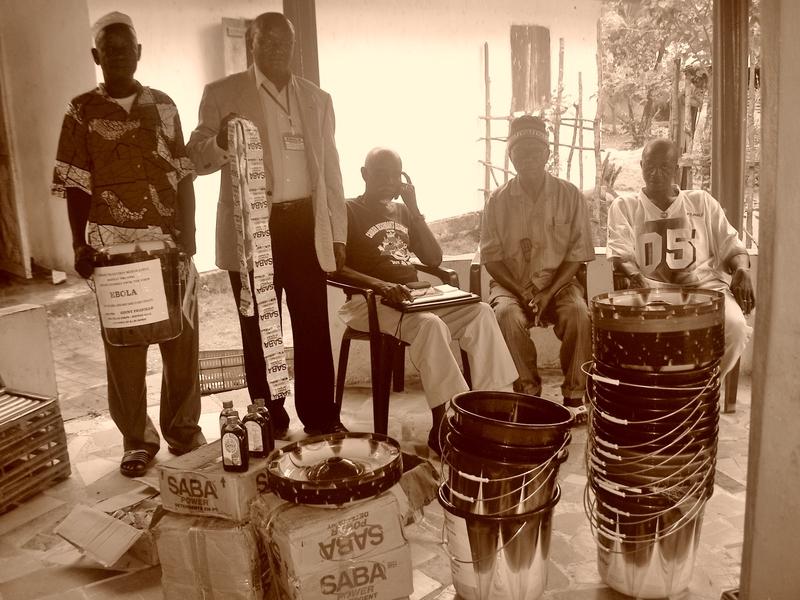 Kargboro Chiefdom Ebola Committee members distributed hand washing stations and soap to public places in Shenge and surrounding villages. Kargboro Paramount Chief, Madam Doris Lenga Koroma, sent her thanks and appreciation on behalf of chiefdom residents. ” D figures of contacts 4 EBOLA is everyday increasing. I heard of a case few miles 2 Bambuibu, so I have 2 go back immediately 2 go and take care of my family. D entire country we are in a complete confusion and worries. Ebola victims are now fleeing infected cities and towns to the care of family and friends in rural villages. Family connections run deep, and even remote places like Kargboro Chiefdom are no longer safe from the Ebola virus. Thanks again to Ginny Fornillo for coming to the aid of Kargboro Chiefdom with supplies to help prevent transmission of the Ebola virus.